Go to hotmail.com website and login with Hotmail email account. Click on your profile picture on the top right corner, and select ‘view account.’ You will reach Microsoft Account Setting page. You will have two options to change the password of your Hotmail account. Select ‘More actions’ option just below your email address. Choose Change password from the drop-down menu. Click ‘Security’ on the menu section. When you click it, you will access the security page where you can see the Change password option. Click it. Now, you need to verify your identity. For this, you need to either enter your alternative email address or provide your mobile number registered with your Hotmail email account. If you are using Microsoft 2FA, you can use code from the Microsoft Authenticator app instead of the current password. Don’t remember the current password? Reset Hotmail password with the help of recovery email or phone. If you have logged in recently from a public device or the network you used was unsecured, there is a chance that your password is compromised. If you forget to log out from the device from such places, you must change the password of your Hotmail account. You have been using the same password for all of your accounts. If one of your accounts gets compromised, you probably will be attacked soon. 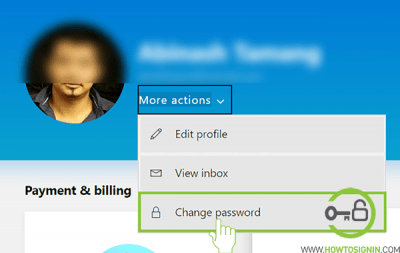 So, you need to change your Hotmail password if they are same as your other accounts. If you have not changed your password for a long period of time, you might be at risk. If someone has your password, they might be accessing your personal information stealthily. 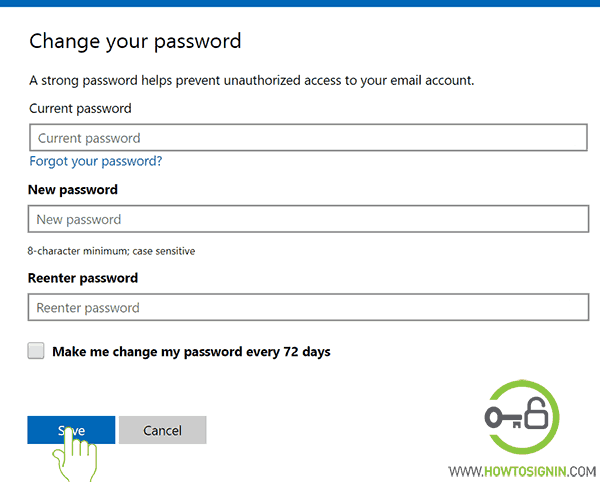 Hotmail recommends changing the password of your Hotmail account every 72 days. 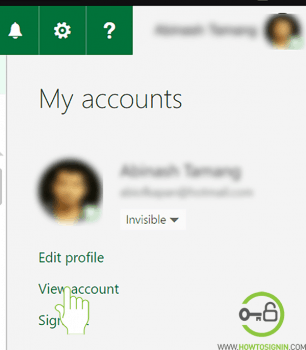 If you have recently shared your Hotmail password with someone else, you should change it as soon as possible. If you have fallen into a trap by scammers claiming to be Hotmail support staff and have given your account password, you should change it soon. 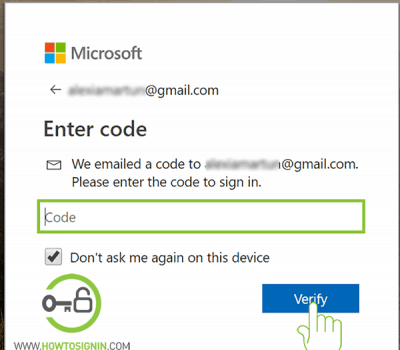 Please know that no support team asks for your Hotmail password and if they do, be assured they are scammers trying to steal your personal information and harm you.